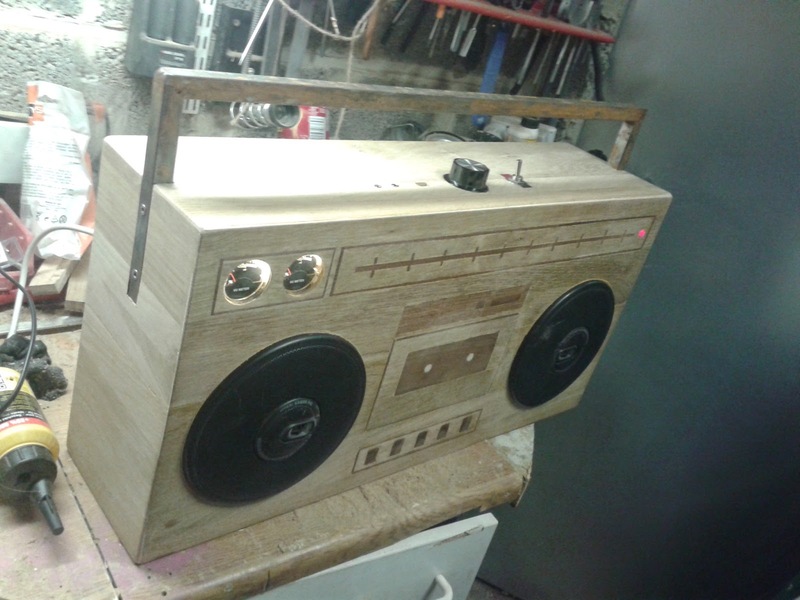 This post is the continuation of my two previous posts (building the front face and the enclosure) and I will go through the preparation and wiring of all the electrical and audio equipment in this project. 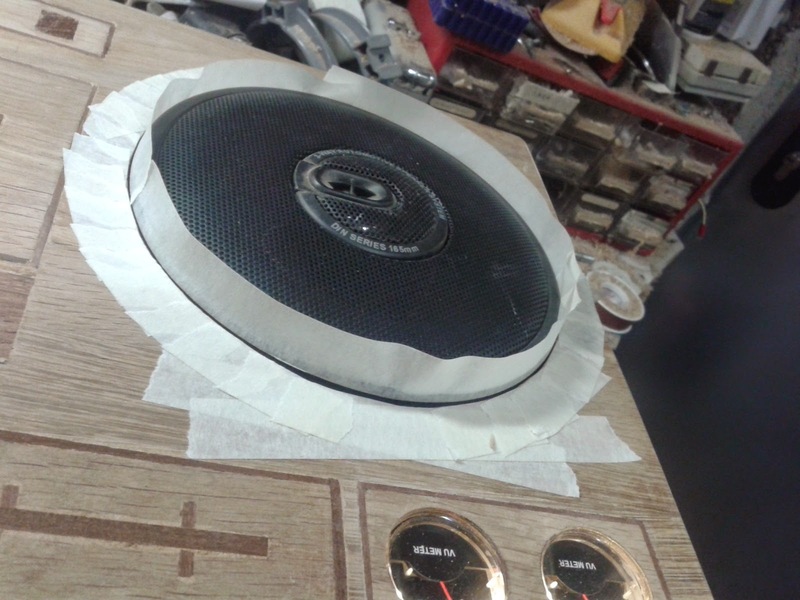 Note: there will be another post in the near future about finishing a couple of details (like painting the speakers in faux-rust). 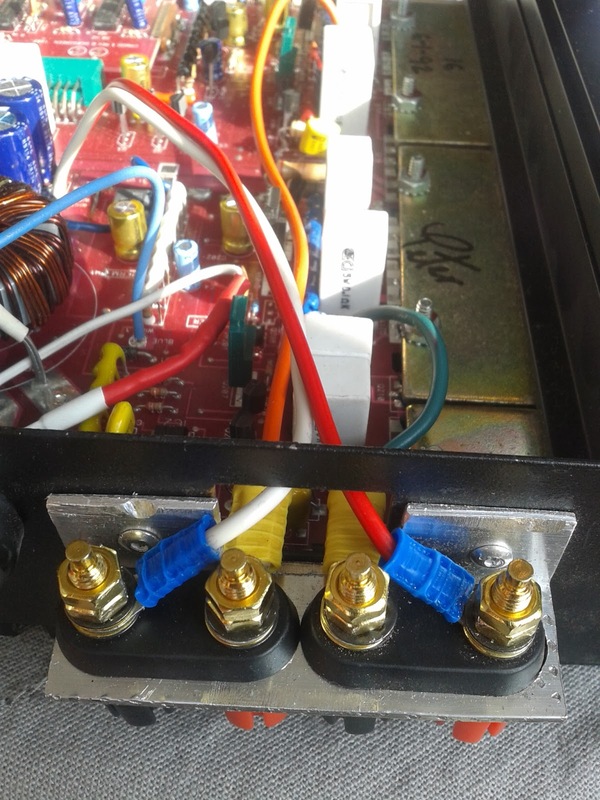 Repairing and wiring the amplifier for auto-on. 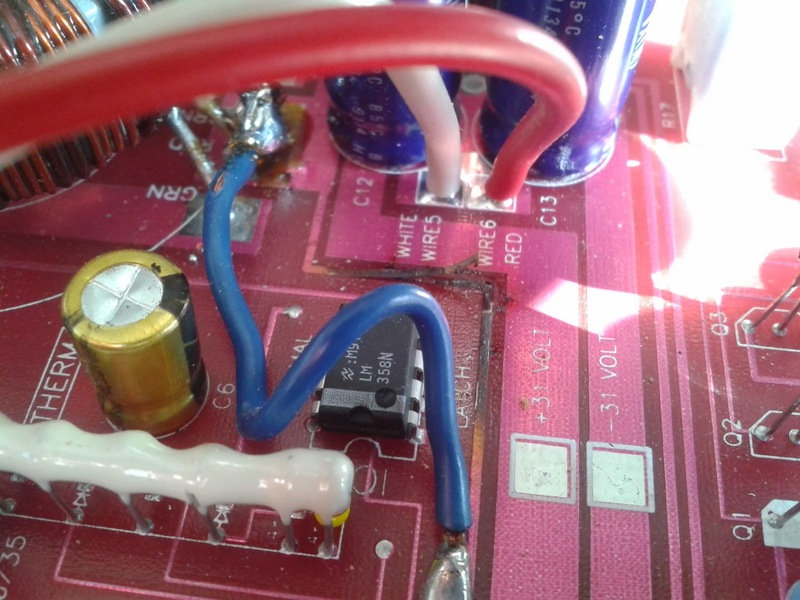 I thought my amplifier was working fine but when I opened it I discovered one of the traces on the PCB was burnt: that's an easy fix (if there's nothing else wrong...) and soldered a wire across it. From the inside you can also tell it is rated 2x75w RMS at 4Ohms which should be more than enough. 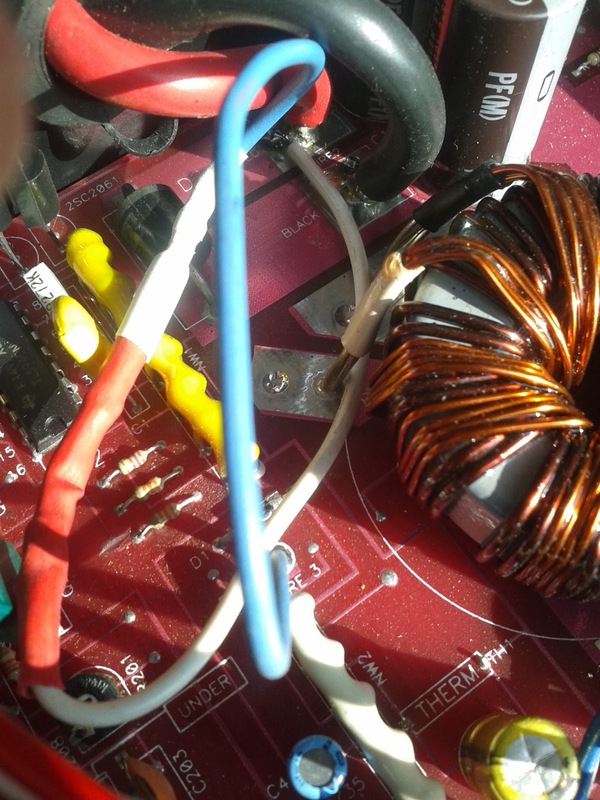 I then hard-wired the power-on wire to the 12V: this was simply to make sure it would power on as soon as power is available. The good thing is that the amplifier has a power on delay leaving the power supply enough time to level its output (even though I have no clue how long it takes, it should be less than the second or so the amplifier waits). 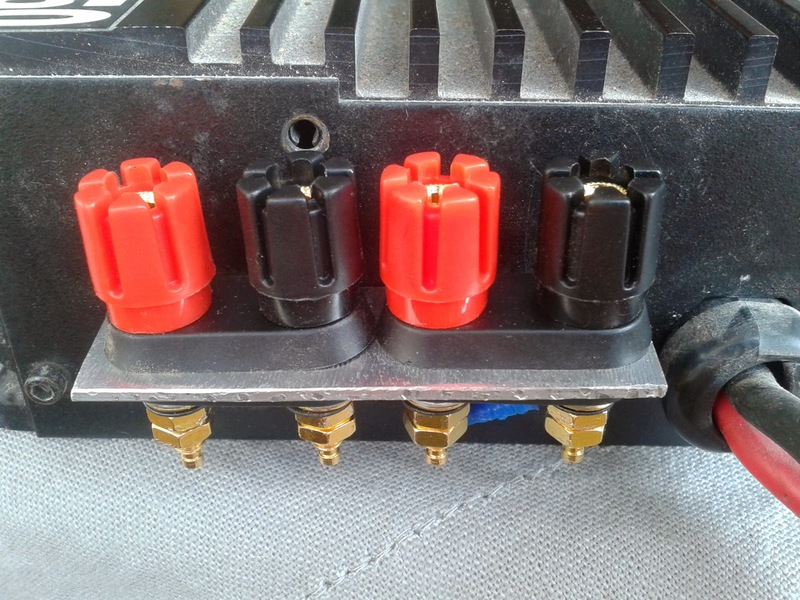 The Crunch amplifiers come with an exotic speaker connector for which I didn't have the other part any more: I must have lost it years ago and therefore decided to replace it by banana sockets. 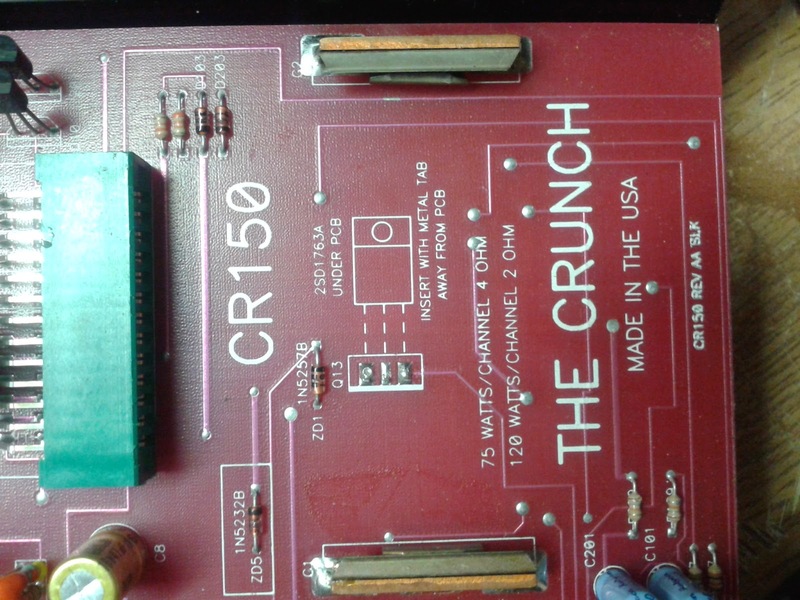 Looking at the manual I got the pinout and added speaker banana sockets I purchased months ago and had lying around. I had to mount them with an angle because I still want to be able to plug different speakers if I want to use better speakers. 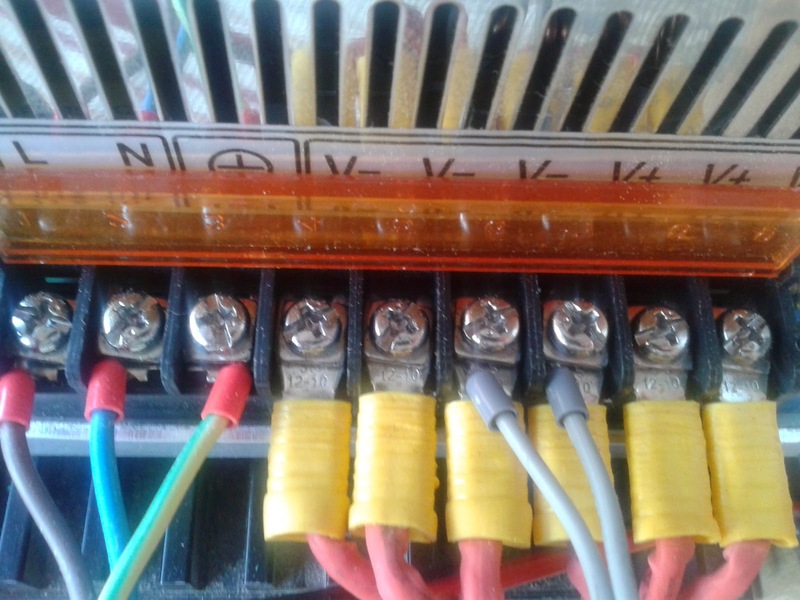 Since the amplifier draws large amounts of power at a fairly low voltage, manufacturers try to reduce cable resistance to get the voltage as steady as possible even when the power draw is variable. 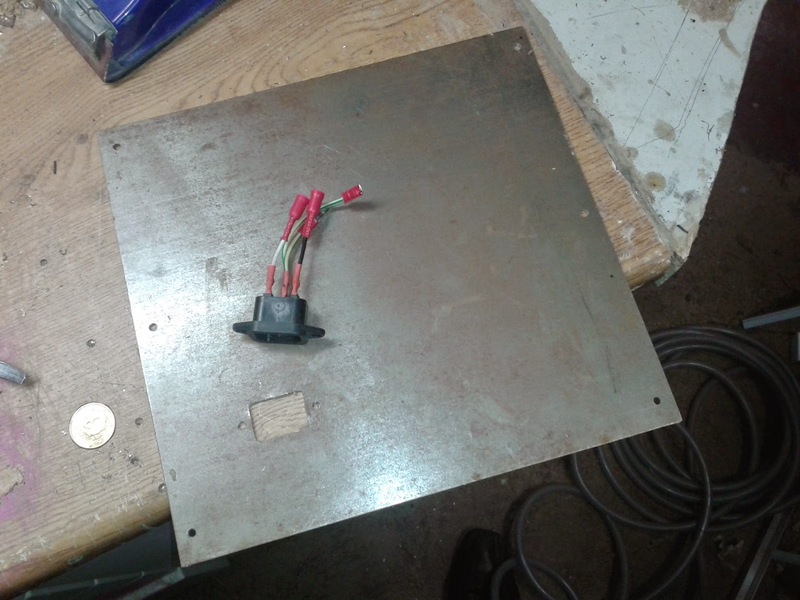 To improve the stability some even use an additional large capacitor. I'll have to add one later of it becomes problematic (edit: this wasn't the case...). 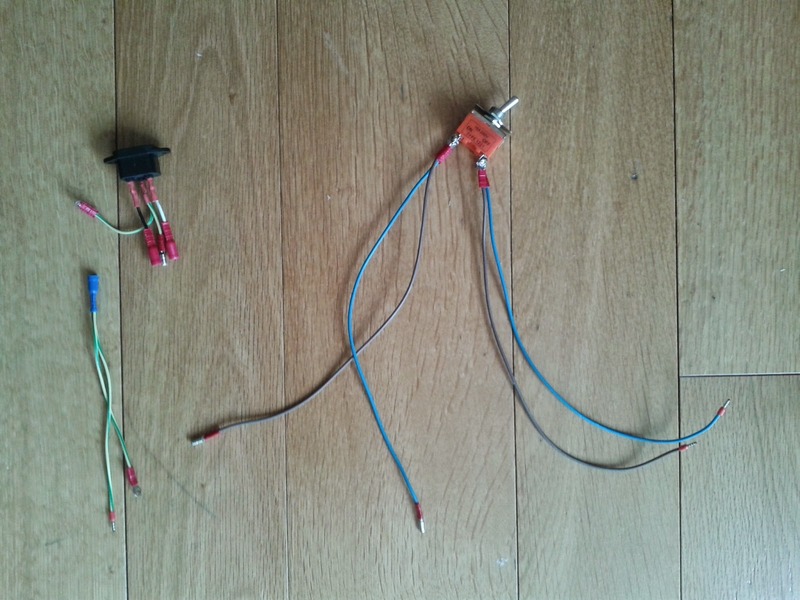 Because the cable section is very large, and because there are three terminals on the power supply, I'll split each cable in three and connect them to three crimp terminals each. 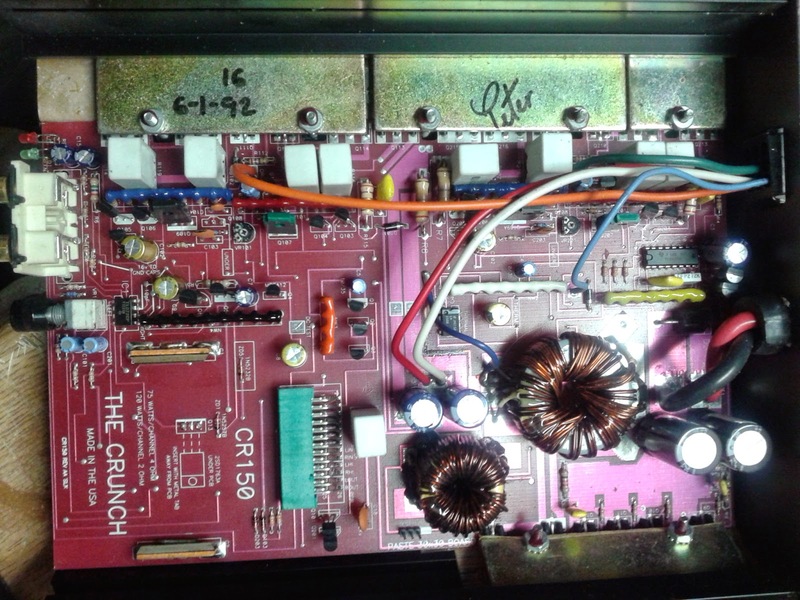 This receiver was obviously not designed to be operated without any direct contact (it requires button presses) and since the adaptations required a little fiddling, I wrote a separate article here. 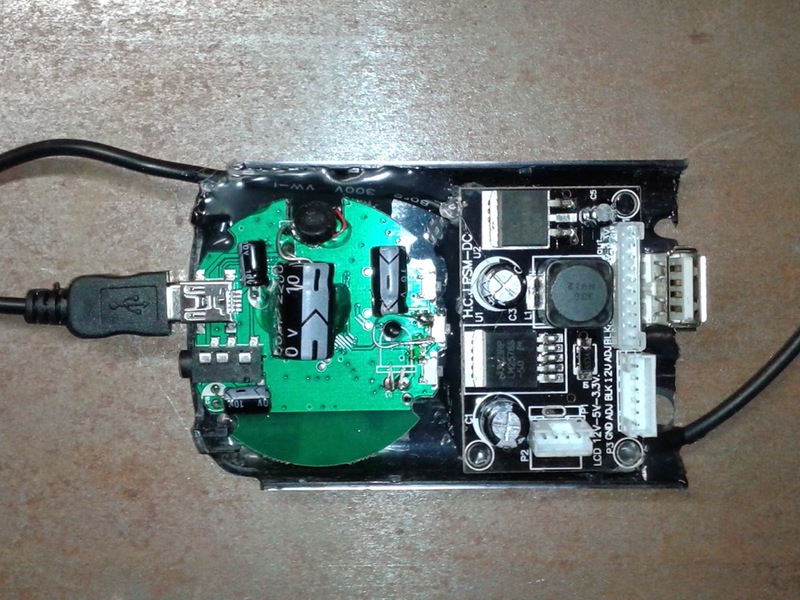 and a DC-DC step down converter and USB port. 230V AC comes in through the back panel, is switched (bipolar switch) and fed to a 500W led power supply (that I bought new for this project). 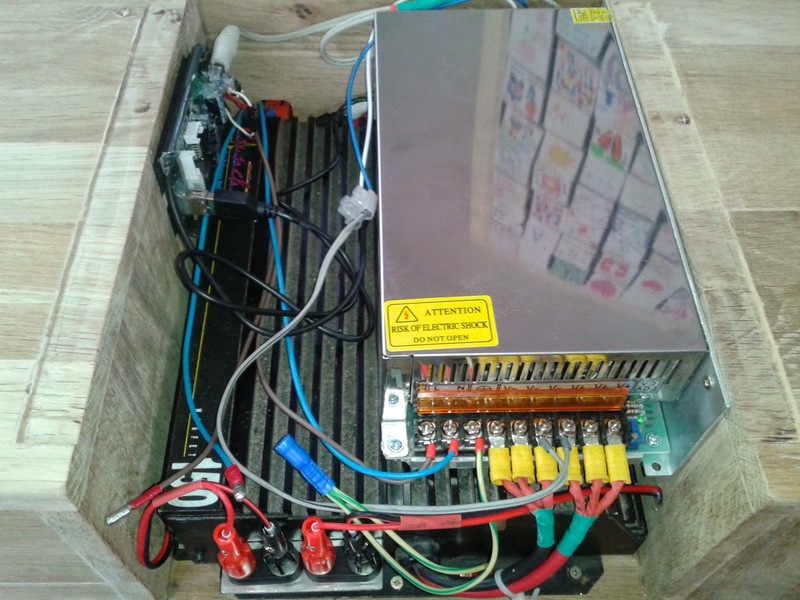 12V DC is coming out of the PSU and wired to the amplifier, the VU meter controller, the VU meter backlight, the power led and DC step down used to provide 5V to the Bluetooth receiver and USB port. 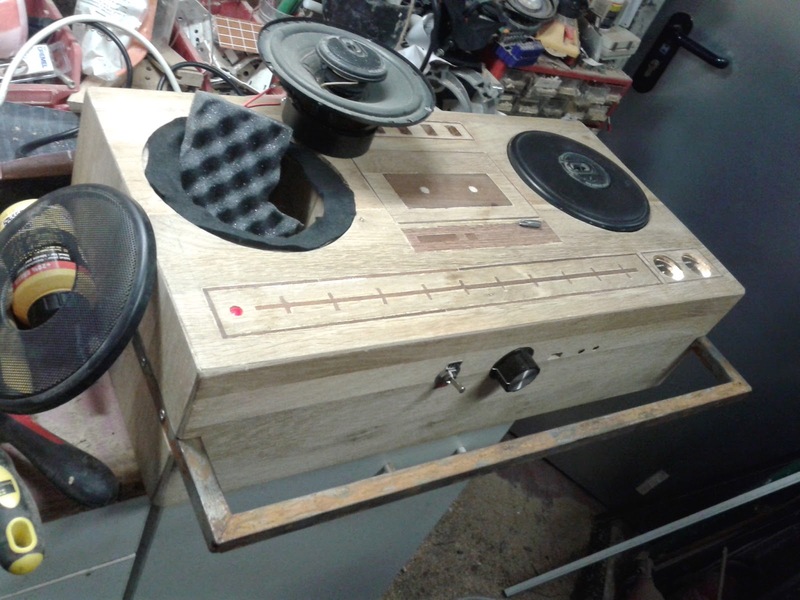 The stereo audio comes from the Bluetooth receiver and is connected directly to the amplifier as well as the VU meter controller and two 3.5mm stereo jacks (all wired in parallel). 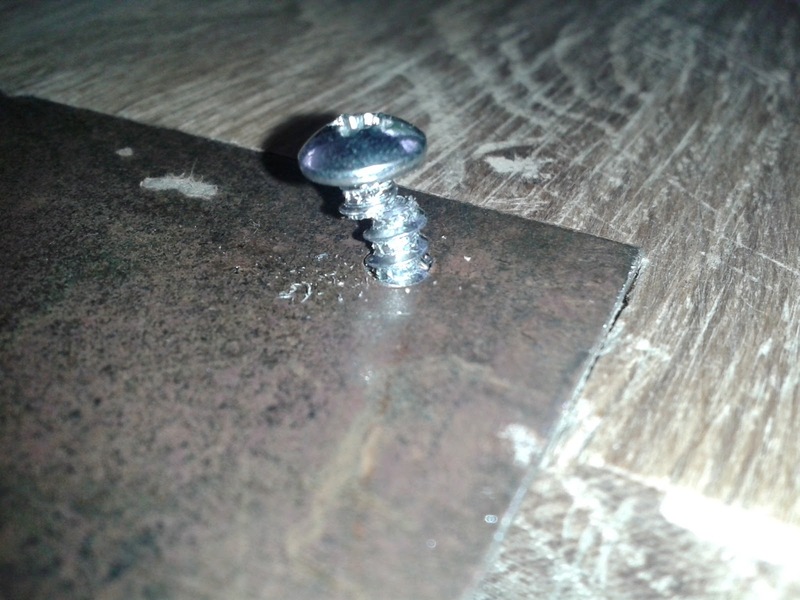 Don't use cheap screws ! Edit: I discovered that the bluetooth audio receiver provides such a strong signal, you'll want to crank the volume down on your phone... and you end up hearing noise. 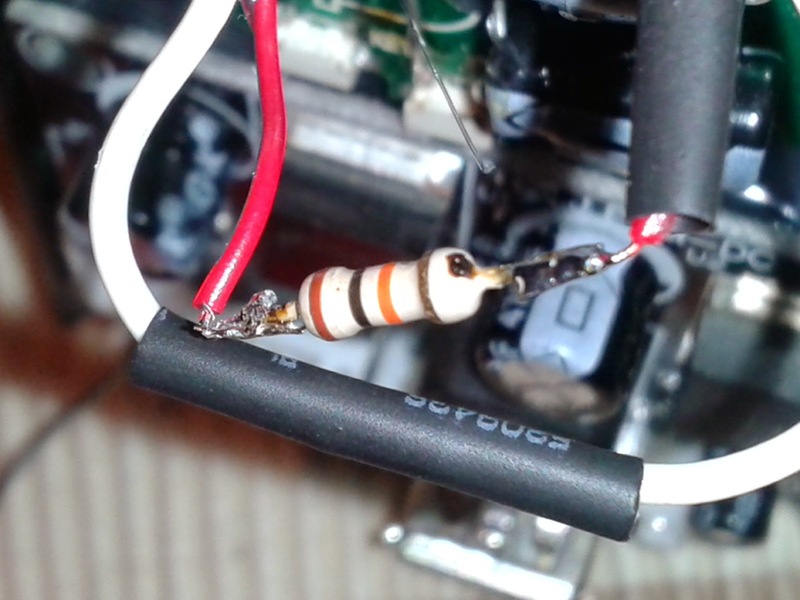 To fix this issue, I simply put a 12k resistor (a random value I had lying around) in series with the output of the bluetooth receiver and it fixed the issue quite nicely while keeping a good gain range for the volume. There is nothing complex here... just need to respect the polarity on both speakers (or reverse it on both). 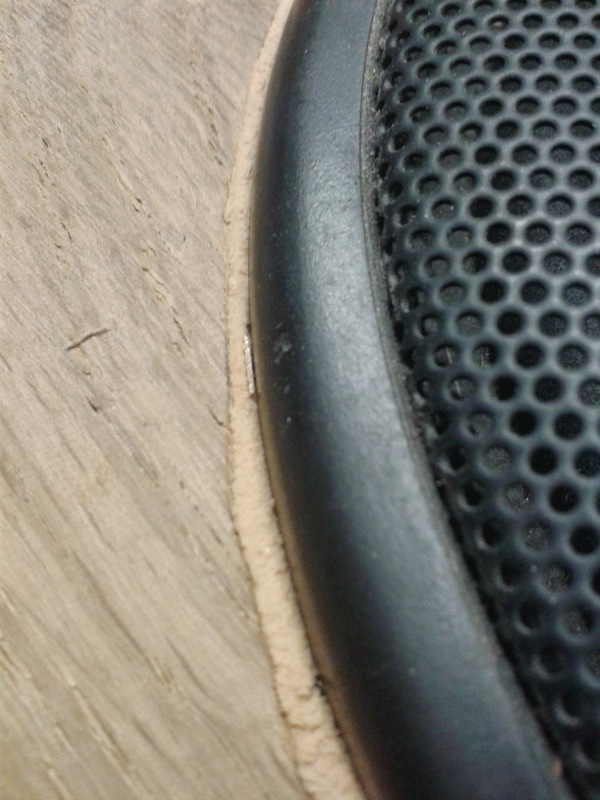 Since these speakers are meant to be flush mounted, the enclosure does not really matter (too much). 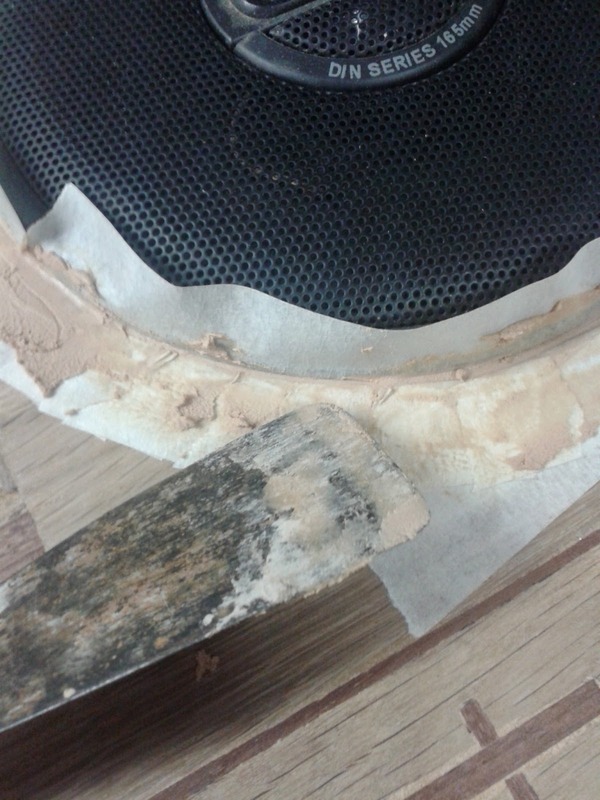 I however tried filling it with acoustic foam to see if it would make a difference but I couldn't hear any so I didn't use it. Since I lost the mounting rings (made of this sort of cardboard), I made new ones with leftover black felt I had from another project.